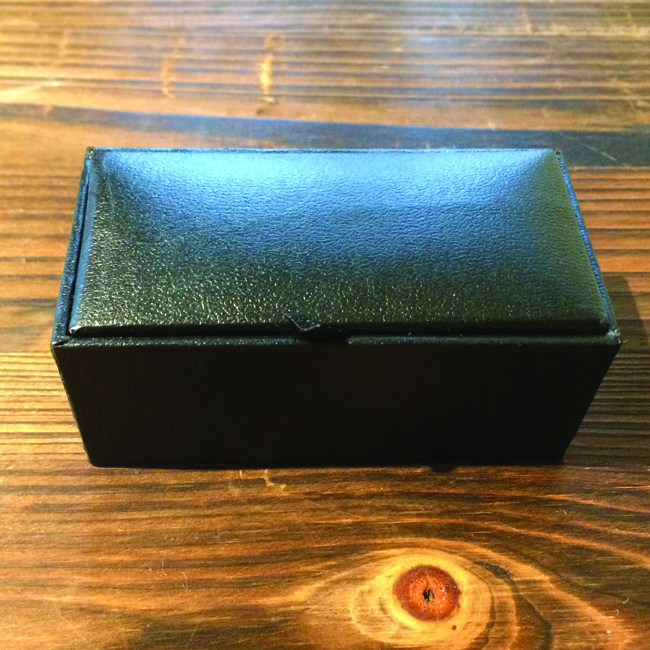 This black flip top leatherette cufflinks box is a great way to present our personalised cufflinks. The lid has a ribbon tag for easy opening and is padded to help secure the cufflinks. The inside of the box has a black velveteen lining. Box measures 8.4cm x 4.5cm x 3.4cm approx. This black flip top leatherette cufflinks box has a ribbon tag for easy opening and measures 8.4cm x 4.5cm x 3.4cm approx. Perfect to present our personalised cufflinks.